Search engines measure your website’s value and relevance by analyzing the links to your site from other websites. The result, your “Link Popularity,” is a measure of the number and quality of links to your website. It is an integral part of your website’s ranking in search engines. 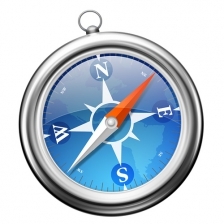 Search engines examine each of the links to your website to determine its value. Although every link to your website is a vote in its favor, not all votes are counted equally. A website with similar subject matter to your own carries more weight than an unrelated site, and a well-regarded site (such as a University) has better link quality than an unknown or disreputable website. The text of links helps search engines categorize your website. If your business is a mattress warehouse, a link to it titled “Good Value Mattresses” is helpful, while “Sweet Skateboard Wheels” would be less useful. Getting links and getting business. Good links help get a better ranking in search engines, but these links can also offer direct business from people clicking on them and finding your company. In addition to improving the rankings and increasing the visibility of the page being linked to, inbound links improve the quality score of your whole domain (for example: jtechcommunications.com). If people are linking to one page on your website, all the others benefit as well. The conclusion is clear: attract relevant, high-quality links in order to positively affect your position in the search engines. As the web matures, users increasingly look for interactivity from the sites they visit. Over the next few months, we’ll serve up bite-sized discussions of web interactivity — the merits of different approaches and whether they’re a good fit for your website. You’re all familiar with blogs: In essence, they are journals published to the web. Although blogs are commonly used by individuals, they can also be a great asset for companies. As a company, there are a few common ways to use blogging as a platform to extend your brand. The most obvious is promotional: Announce new events, services, or products to the world. A more subtle approach is to use the blog as a platform to discuss your company’s area of expertise. Your ruminations about whatever you know best will serve you well in a few ways. Any blog worth its virtual salt has a built-in commenting system. Your thoughtful and pithy blog is a perfect place to create dialog with new and existing customers. Not only are you establishing rapport with people who care — you’re doing so in a way that allows you to guide and moderate the discussion. Writing interesting things about your business has a great side effect: Google starts feeling really good about your website. A good blog is updated regularly, contains original information, and often attracts outside links. All these things can help increase your search engine rankings. Blogging isn’t the right choice for every company. Maybe you don't have the time to write new information on a regular basis. Perhaps you aren’t a good writer — or just don’t have anything much to say. There are ways to overcome all these obstacles, but don’t expect blogging to be a silver bullet. Blogging to increase your brand’s exposure and interactivity is an ongoing commitment that will reward the amount of time you put in. The mission of Montana Shakespeare in the Parks is to make quality, live theatrical productions of Shakespeare and other classics accessible to communities in Montana and surrounding states with an emphasis on underserved, rural areas who would not otherwise have this opportunity. We're thrilled to be able to help Montana Shakespeare in the Parks with their completely new website on their 40th anniversary. Give their site a visit and then catch a performance if they are coming to your town! Thank You for 15 Great Years! Josh and his former business partner founded JTech in July 1997. 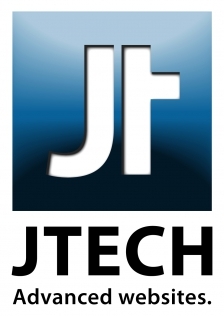 Originally operating out of a studio apartment, JTech rapidly moved into its current building and has been there ever since. Josh was 25 then, and the commercial Internet was brand-new. Web technology and JTech have come a long way since 1997 — we have an extremely talented web production and support team and are proud to be doing the best work we’ve ever done. To celebrate our fifteenth birthday, we’re thrilled to be rolling out our new branding — new logo, newsletter, website, and collateral. It’s all designed and executed in-house, by the same JTech team you already know. We’re grateful for your business for all of these years, and we look forward to serving you for another fifteen! We wrap up our series on Pay-Per-Click (PPC) advertising with this third chapter, describing the tasks necessary for Campaign Management. Launching a PPC campaign requires in-depth research into keywords and competitors as well as synthesis of that research into a well-optimized and targeted campaign. To manage a PPC campaign successfully, a manager needs to frequently monitor and adjust the performance of the campaign to make sure it’s performing its best. Analyzing individual customer data allows further refinement of the ad’s relevance and improvement of the website’s structure. The ongoing attention required to manage an advertising campaign makes a campaign manager invaluable. In addition to keeping a hand on the tiller, a campaign manager will distill the trends and successes of the campaign into a monthly report. You may be surprised to learn that Campaign Management is a service that JTech provides. Google has given us a new batch of coupons good for $100 of free advertising. Give us a call and we can get started today! We love inspiring our customers with ways to get more out of their website. Here are a few ideas to help you serve your customers, increase business, and save you time. Answer simple questions on your site. Build self-service sections of the site — From billing services to registration to account management to status updates. Offer maps and driving directions. Construct an area where clients can login to re-purchase past items. Allow your client to schedule repeat services. Enable clients to maintain wish lists. Sell or give away gift certificates. Allow clients to access photos of their experience with your business. Help clients connect with other clients or past clients for referrals. Our first website was a “Coming Soon” Flash animation with sound effects. We’ve gone through a couple websites between then and now, including a five year blue phase with the best design and technology the ‘90s had to offer. You’re all familiar with the past six years’ time-worn paper motif, but as of this month we’ve moved on to something new. We’re very pleased to announce our new website. Built using the latest and greatest web technologies, our new site is smooth without being a showoff. 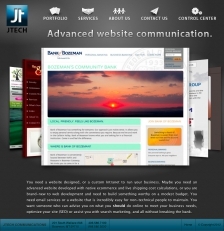 Our website (like all websites JTech produces) uses progressive enhancement, a technique in which older browsers see a simplified version of the website and layers of visual complexity are added for users with more modern browsers. If your browser is older or can’t do all the latest tricks, no problem. The website still works well and looks great. Last month we introduced Pay-Per-Click (PPC) Advertising, which has become a popular and cost-effective way to advertise. As mentioned in January’s JTech Dispatch, the chief benefit offered by PPC is its pricing model; until a user shows interest by clicking on the advertisement, there is no cost to the advertiser. Time to Market. Advertising campaigns can be quickly planned and developed, with ads launched almost immediately. Good for small businesses. PPC advertising can put you in a solid competitive position. We can help you to hold a top ad placement without having to substantially outbid a larger national advertiser. Builds branding. We can deploy advertising that will focus on building your brand and company name. Quick reaction to market conditions. A campaign can be modified at any time depending on market requirements and business goals. All this makes PPC an appealing package. With careful campaign planning and management, almost any size budget can be effective in finding interested customers. A great website management system. Many of you are already familiar with JTech's Control Center. For those of you who are not — and as review for those of you who are — we decided to share a few of the features we think makes it great. Are you managing a large website? Or perhaps a smaller website? Actually, it doesn't much matter. The Control Center has dynamic sorting and searching, which means it will be easy to find and manage your website's content regardless of the site's scope. Click on a column header to sort the list by that column – click it again to re-sort in the other direction. Want to crunch some numbers or edit your website's copy in your preferred spreadsheet application? No problem. The Control Center exports data with one click. The export button is in the upper-right of the list view, to the left of the print button. Duplicating a record is a snap. Just click on the duplicate control on the left side of each record to bring up a copy. Make any changes you wish, then save your new record! Our built-in image editor is fully-featured and very easy to use. When you upload a photo, the image editor automatically creates, crops, compresses and stores all different size versions required by your site. You can even preview, crop, or rotate the image until it's just right. My personal favorite is the custom webmail built from the ground up for the Control Center. It includes all the luxuries of a fully-featured email client, such as a built-in address book, full drag-and-drop support, keyboard shortcuts, and notification sounds. Stepping away from the keyboard? As you’d expect, it has an auto-responder to use when you take the vacation you so fully deserve. If you're not using the Control Center, give it a spin. If you're already using it — great! We wish everything could be this easy. 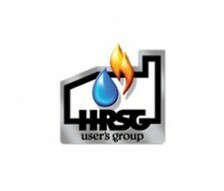 The HRSG User's Group (Heat Recovery Steam Generator) offers educational events and the HRSG Users Handbook for its 1500-plus members in 50 countries. These offerings uniquely tie together the theoretical fundamentals of steam generation with the practical, hands-on insights users need. 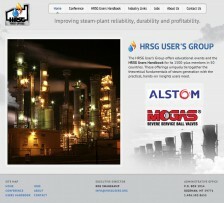 HRSG has been a JTech client since we built their original site 6 years ago, and we're proud to bring this beautifully redesigned and rebuilt site live for them this month. 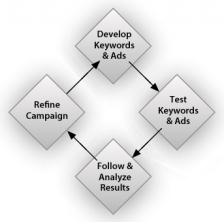 1st in a Series: What is PPC? PPC (Pay-Per-Click) Advertising is a modern, cost-effective advertising method that helps you target prospective customers who are interested in your product or services. When people use a search engine to search for keywords that match your business, your advertisement shows up. This advertising is free until a potential customer responds by clicking on your ad. As an advertiser, you don't pay for the ad until your target audience clicks on it. Compared to traditional advertising, PPC is a business owner's dream. Rather than throwing heaps of money into an ad campaign that reaches all audiences, PPC allows for optimization of your advertising budget and focuses only on those who identify themselves as interested and are located in the areas you have specified. Because you only pay when a search engine user clicks on your advertisement, there's no wasted cost for disinterested viewers. One wonderful result of this model comes when analyzing efficacy. Directly measuring the return on your advertising investment is simple. The precision of PPC's targeting means it is effective in positioning your business: easily found and ahead of competitors. DNS is a part of the Internet that virtually everyone uses every day without knowing it. DNS (Domain Name System) is the framework that enables things that most of us take for granted. 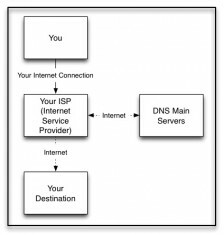 When you type an address such as www.domain-name.com into your web browser, DNS is what the browser uses to find and show you the correct website. DNS is also the system that allows you to email yourfriend@their-domain-name.com and have your email arrive at the correct email server anywhere in the world. It’s a fundamental part of the Internet and it makes life easier for all of us. 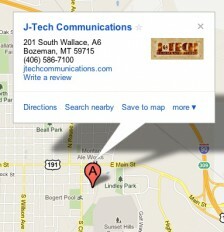 DNS works by attaching a human-friendly address, such as jtechcommunications.com, to a "real" address of 64.25.128.2. Since people are generally much better at remembering names than long strings of numbers, DNS makes using the web a much friendlier experience. Your ISP uses DNS to resolve the real address of "pizza.com" and sends this information back to you. Once you have the real address, your computer or device is able to directly contact the server hosting “pizza.com” and get the information you requested. The Gem Gallery, located in downtown Bozeman, Montana, was founded in 1995 by Don Baide, and specializes in creating custom jewelry in gold, platinum and palladium. They are proud to feature one of the largest collections of brilliant, all-natural Yogo Sapphires in America. The Gem Gallery has been a valued customer since the late 1990s. In 2010 we put the finishing touches on their completely new site and have enhanced it many times since then. The current site shows most of their inventory and allows customers to shop and purchase their fine jewelry online. I beleive The Gem Gallery is the only Bozeman area jewelry store to sell online! Word of mouth is an excellent way to promote your business. One modern equivalent is posting on Facebook. 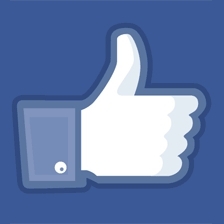 When a user posts their interests on their Facebook wall, those interests are shared with all the friends, family and acquaintances who are part of their Facebook social network. One quick improvement to your site makes it easy for customers to post specific products or services that interest them to their Facebook wall. We place a Facebook “share” button on that product or service page; if a user finds it interesting, they can click the button to make a link from their wall back to that product or service page. To see this in action, look at this product detail slip on the Gem Gallery’s website. It’s time again for the holidays, and for many of us that means a lot of travel. While on the road, it’s easier than ever to stay up to date on important communication through email. If your cell phone is a “smart phone” such as an iPhone, Android, or Windows 7 phone, it’s easy to set up your email account on your phone. Of course, if you travel with a laptop or iPad, you have your email with you wherever you travel. If you’re like me and have email accounts that you don’t check as often, or if you don’t have a device with you for checking email, you have a few options. 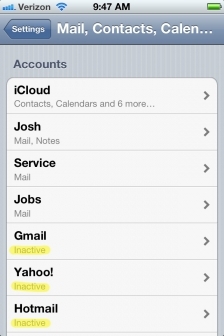 Set up infrequently used email accounts in your phone or device and then disable them. Once they’ve been set up, it’s easy to turn them on or off as needed. Use your email provider’s “webmail client”. 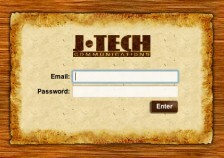 If JTech provides your email, just visit mail.jtechcommunications.com in any web browser. Log in using your email address and password, and you’ll be able to access your email from anywhere. 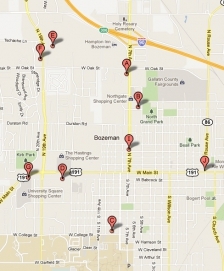 Bank of Bozeman is the premier community bank serving the Gallatin Valley, and is conveniently located between Kohl's and Rosauers in Bozeman Gateway. We took their new site live just a few weeks ago and are quite proud of our work. They invite you to take a look at their beautiful new website — and if you're in the area, to come in for a coffee, snack and a personal tour of their facilities. While you’re there, they’d be happy to discuss your banking needs with a member of their dedicated staff. 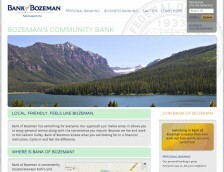 You can see the site now at: www.bankofbozeman.com. Understand what visitors are looking for and what they're interested in. See how often and how long visitors look at each page on your site. Evaluate the effectiveness of your site's structure and navigation. Is it easy for visitors to get where they want to go? See the route that users take as they navigate your website: where they enter, where they exit, and how deep into your website they travel. View the phrases that people used to find your website in search engines such as Google. Determine which websites and search engines refer visitors to your site. Browse demographic data such as where in the world your users are located. Track the effectiveness and profitability of your promotions and advertising. 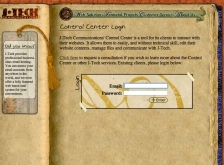 Website statistics are available directly through the JTech Control Center. If you don't have access, contact us and my team will be glad to help. Email is one of the backbones of day-to-day communication on the internet. Despite its importance, many people only learn enough about email to send and receive messages. A deeper knowledge of how email works can make communication even easier. 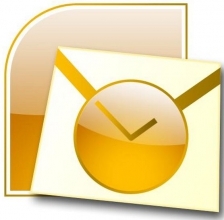 POP and IMAP are email protocols - different ways to receive your messages. POP downloads and stores all mail on the device you use to check email. Once it's downloaded, there's no longer a copy on the server. This works well if you only use one computer or device to check your email. IMAP, by contrast, stores all messages on the server. Why should you care? If you use multiple devices to check your email, using IMAP means they can stay "synced" - each device with access to all your messages, inboxes, and folders. Not too long ago, a separate program (such as Outlook, Apple Mail, Thunderbird or Windows Mail) was the only way to check your email. Webmail services, such as Gmail, Yahoo mail, or Hotmail imitate the function of an email program, but do so within your web browser. In the last fifteen years or so, these webmail services have made huge leaps and are now very robust. Even so, separate email programs (or "email clients") tend to be faster and offer more features than webmail services. 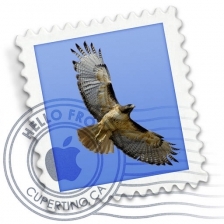 For the best experience, I recommend an email program designed for your system in particular: Apple's Mail for a Mac; Outlook or Thunderbird for Windows. 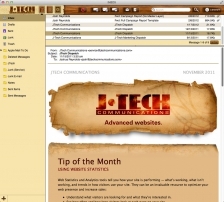 If you do need to use webmail, JTech has a beautiful, fast webmail client that we built in-house which is available to all clients who use our email services at: mail.jtechcommunications.com. Bozeman Deaconess Health Group is a multi-specialty group of primary care and specialty physicians and healthcare professionals owned by Bozeman Deaconess Hospital. 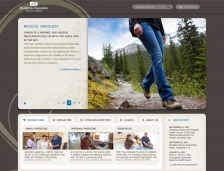 The new Bozeman Deaconess Health Group website went live earlier this year and incorporates the hospital's updated branding. Check it out today. Online advertising and how it can help you. Pay Per Click - Ads shown on search engines like Google and Bing. Banners - Graphical ads that can be static, animated or even interactive. Social Network Advertising - Ads shown on Facebook and other social networking sites. Advertising Networks - Ads fed out to other's websites. Email marketing - Everything from newsletters to coupons to "spam". Only pay for responses to your ad, not for exposure of the ad. Clearly target people that are only looking for your product or service. Quickly adjust your advertising message for better results. They encourage people to immediately interact with your ad and business. Rapidly respond to new business opportunities as they arise. Online advertising's ease of use and strong results have translated to a surge of popularity. Advertisers are moving online, because that is where their customers expect to find them. There is so much to learn about online advertising that will benefit your business through books and, of course, over the Internet. If you'd like to learn how JTech can help you to make more money by taking advantage of online advertising, give us a call. 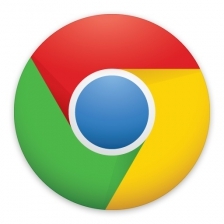 Web browsers are programs (or in today's parlance, an "app") on computers and mobile devices for displaying websites. Even though all browsers are designed to do the same thing, they differ dramatically in their speed, approach to displaying (rendering) websites, and features. Because many people don't know what a browser is or how they differ, it's common to choose a browser based on which one came with a computer or what you were taught to use. On Windows, that usually has meant Internet Explorer, and on Macs, Safari. In this month's continuing education segment, I explore a bit about browsers and their features to just give you a taste of what's out there. Extensions - Small additions, usually free, to make your browser more useful. Bookmarks - The way each browser finds, changes, and manages bookmarks. Reading List - Currently Safari-only, this is a to-do list of websites you plan to read. Reader - Another Safari-only feature that helps read articles without distraction. Downloads - All browsers manage your downloads, but they have different approaches. Pop-up Blocking - All modern browsers are good at blocking pop-ups. Printing - Some browsers do a much better job of helping you print websites. Password storing - Some browsers can save your log-in credentials for websites. Spell check - Spell check features vary by browser and operating system. Smart zoom - Zoom the images and text of a webpage. What browser should you use? The answer really depends on your personal tastes. I use Safari on the Mac and Chrome on Windows myself, but I highly recommend you give them all a try and compare them to find your best fit. 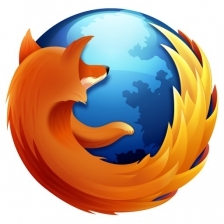 The browser "market" has become highly competitive, with companies releasing faster browsers with advanced features. My final advice about web browsers applies no matter which browser you choose: Always run the latest version. The web has changed very rapidly and is changing faster than ever today. A browser that's even a version behind generally performs slower, is susceptible to security risks and won't support many new abilities. Keeping updated is generally easy in that you can trigger most browsers to check for updates right inside the browser. 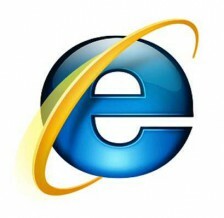 The one tricky browser is Internet Explorer. You can only run the current version if you're on Windows Vista or Windows 7. If you're running Windows XP, I recommend you switch to Chrome or Firefox. They describe themselves as "a community dedicated to entertainment, education, motivation, inspiration, discovery, charitable giving, and rewards, all designed to enhance your enjoyment of life." The design and construction of Life Answers Back is unique and beautiful, if I do say so myself, and features immersive, full-window imagery, content that unobtrusively slips into the background when you aren't interacting with it, and pages that seamlessly fade into each other. This site is one of a kind, and I urge you to check it out. I think you'll like it! Why are we sending you this? We're very pleased to introduce the JTech Communications web marketing dispatch. You're getting this newsletter because we'd like to help you get the most out of your website, and these newsletters are a way to share our expertise. We won't waste your time. Once a month, we'll email you a new newsletter packed with friendly advice, marketing tips, and web design suggestions. We want your website to stand out from the crowd. We'd love to hear from you, whether you find the dispatch useful, annoying or anywhere in between. Have a suggestion or criticism? Please pass it back to us so we can serve you better. Also, while we're excited to bring you fresh marketing tips, if you want to unsubscribe -- we understand. Simply click on the link at the bottom to be removed from our list or change your subscription options. Microsoft's 'Bing' search engine has a robust mapping system in addition to Google's more familiar option. 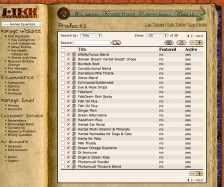 Searching for a type of business, such as "mexican restaurants" in this example, shows a list of businesses that could meet the user's needs. Google Maps show detailed information about your business. Make your business easy to find. Trying to attract local customers with your website? Getting found is getting easier. Major search engines like Google, Yahoo, and Bing! 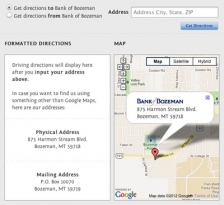 can provide a map to your business when users search for you on the web. Once you're listed, users searching for you will be able to immediately connect with your business. 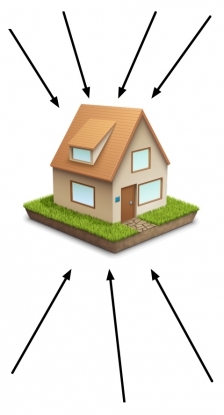 If they're on a smart phone, they can even pull up your website or call you directly from your listing. To create a local listing, use the search engine's map function to find businesses in your field. Next, pull up your listing and edit it as the business owner. After an email, phone call or text message to confirm that you represent the business, you can edit your listing. 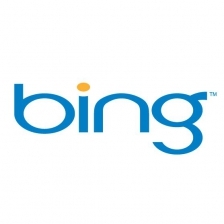 A good starting point is submitting your listing to Bing! and Google. Or, with our full line of search engine optimization (SEO) services, have us do it for you! Take advantage of our knowledge. We'll create optimized local listings on all of the leading search engines for just $195. Get started with $100 of free AdWords. Are you feeling proactive? Once you know how people are finding your business, you can increase your exposure with advertising and promotions. Yes? Great! You're interested in advertising on Google. J-Tech is offering $100 of free Google AdWords to get you going, and we'd like to help you manage your marketing campaign. Call us today to get started.